Appendix M German Armed Merchant Raiders, 1942-1943. The First Phase, 4:15-5:25 p.m. The Second Phase, 5:25-9:00 p.m. The sources used for this second volume of 'The War at Sea' are, in general, similar to those described in my preface to the first volume; but, as is to be expected, certain new problems have arisen. As the acute strains and difficulties of the Defensive Phase, with its inevitable but tragic toll of Allied maritime losses receded, the opportunity to keep and to preserve better records improved in the British services. 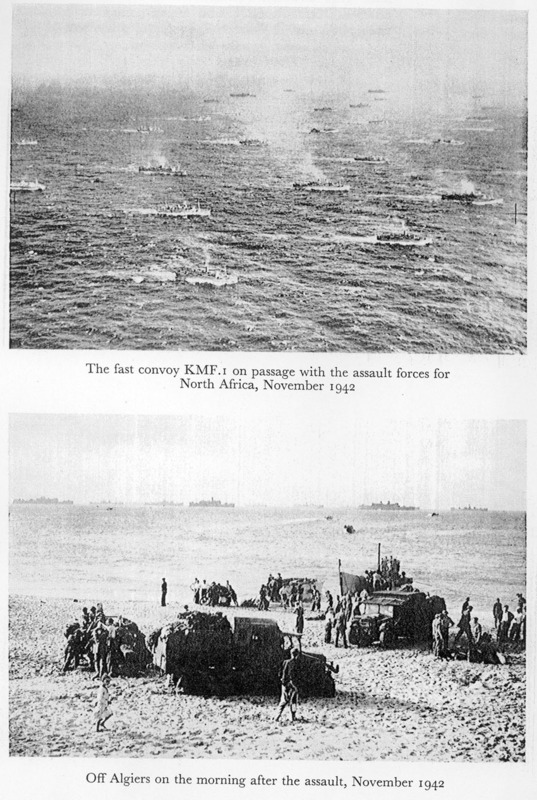 Conversely, as the tide of the enemy's offensive and success began to ebb, his written records showed some deterioration, and his losses produced gaps in them. To fill the gaps in the German records has proved no easy task, and I have relied more than ever on Commander M. G. Saunders, R.N., and the Admiralty's Foreign Documents Section to meet my needs in that respect. He and his assistants have shown uncanny skill in tracing what happened when the original sources, such as the logs of enemy ships, were lost when those ships were sunk. I find it hard to express the sum of my gratitude for the thorough and painstaking work of this nature undertaken on my behalf. When the first draft of this second volume was less than half finished I was lucky enough to obtain the help of Commander Geoffrey Hare, R.N. His enthusiasm for the work and his thoroughness in checking the many obscure points which inevitably arise have taken an immense burden off me; and without his assistance the preparation of this volume would never have progressed so fast or so smoothly. I also owe a great debt to my colleagues who are engaged on the campaign volumes of this series, Captains G. R. G. Allen, F. C. Flynn and C. T. Addis, Royal Navy, who have generously allowed me to exploit their own research in the fields with which they are particularly concerned, and to use it for my own purposes. They have also read and criticised the chapters dealing with the maritime war in their own theatres. Without their help it would have been impossible for one writer to cover an ever-widening field of battle. fought battles. I have indeed not tried to formulate such rules, but have instead tried to work to what seemed to me sensible, if arbitrary, principles. Thus, if the fate of important British territories was concerned, or if the British Empire's maritime forces, even though under American command, were present in appreciable strength, I have felt it to be justifiable to record the doings of the latter at some length. But if, as in the North and Central Pacific theatres the strategy was American-born and the forces came almost wholly from the same country's services, I have dealt with events briefly, even cursorily. It thus happens that more space is devoted to the Battle of the Java Sea than to the campaign in the Aleutians, or to the great battles of Coral Sea and Midway. The summary manner in which the latter are here treated does not, of course, indicate any desire to belittle the importance of those battles, nor to conceal admiration for the manner in which they were fought. Although after the early months of 1942 the Pacific War receives relatively little space in this volume, it is intended to deal more fully with events in that vast theatre after the British Pacific Fleet arrived there; but that does not occur until my final volume. I must, however, acknowledge my debt to Professor Morison, not only for the value that his books have been to me, but for his kindness in answering many questions concerning operations in which his country's ships as well as British ones were involved. The U.S. Navy Department's Office of Naval History under Rear-Admiral J. B. Heffernan, U.S.N., has also given me generous help in comparing British records with its own. It was to be expected that criticisms of my first volume would reach me after publication, but I have been encouraged by the fact that they have been generous rather than severe. It has been very noticeable that critics have regarded my sins as being more those of omission than of commission, particularly with regard to events in which they themselves took part. They may perhaps not fully realise the extent to which compression has to be applied to keep these volumes within their appointed compass; nor that my charter is not to tell the story of naval operations in full detail (as was that of Sir Julian Corbett and his successors after the 1914-18 war), but to describe the War at Sea as a whole, and from a two-service angle. all services who have read my drafts and given me their experienced advice. My first volume seems to have penetrated to distant lands, from some of which I have received most interesting letters containing recollections which have been of use to me in this second volume. The generosity of these correspondents has touched me, showing as it does the warmth of the affection felt towards the Royal Navy by those who served in it, sometimes only temporarily, during the war. I wish particularly to thank Mrs L. Rosewarne for her permission to reveal, in the heading to Chapter XV, the name of the writer of the famous and very moving 'Airman's letter to his Mother', and Mrs B. G. Scurfield for her permission to quote from her husband's equally fine letter in Chapter XIII. I am once again indebted to the Director, Mr F. G. G. Carr, and the Trustees of the National Maritime Museum for permission to reproduce certain of the works of British War Artists, the originals of which are the property of the Museum, and to Mr A. J. Charge of the Imperial War Museum for assistance in selecting illustrations. Captain H. J. Reinicke, formerly of the German Navy, has allowed me to reproduce certain photographs in his possession. Lieutenant-Commander P. K. Kemp, R.N., the Admiralty archivist, has been most helpful to me in finding references and checking quotations, and Mr Christopher Lloyd, Assistant Professor of History in the Royal Naval College, Greenwich, has been kind enough to verify various historical points. For the whole of the Royal Air Force's part in the maritime war I owe more than I can express to Captain D. V. Peyton-Ward, R.N., of the Air Historical Branch. That branch and the Admiralty's Historical Section under RearAdmiral R. M. Bellairs have again given me quite invaluable help. Mr G. H. Hurford of the Admiralty has once again helped with the laborious but essential work of indexing the book. Finally, I cannot close this foreword without repeating that without the untiring advice of Professor J. R. M. Butler, the editor of this whole series, this volume, like the first, could never have reached the public. 'The [British] Navy . . . remained vigorous; the possessor of actual, and yet more of reserved strength in the genius and pursuits of the people - in a continuous tradition, which struck its roots far back in a great past - and above all in a body of officers, veterans of . . . earlier wars, . . . steeped to the core in those professional habits and feelings which . . . transmit themselves quickly to the juniors'. A. T. Mahan. The Influence of Sea Power on the French Revolution and Empire, Vol. I, p. 69. 9 Battle of Savo Is.